While this news article does not have anything to do with Flying Blind, LLC’s involvement in Adaptive Technology, it does concern an organization that Flying Blind, LLC wholeheartedly endorses and supports. For those of you who do not know the personal side of Larry Lewis, I am a huge fan of, and practitioner in the Martial Arts, which are a fantastic way for those of us who are blind to build confidence, stay physically fit, and maintain a balance in our lives. The Blind Judo Foundation at http://www.blindjudofoundation.org is a wonderful vehicle for bringing the Martial Art of Judo (http://en.wikipedia.org/wiki/Judo) to persons who are blind. Jordan Mouton, a BJF Judo athlete, has won the opportunity to represent America at the upcoming Paralympic Judo Games in Beijing. This young, 18 year old female came to the Blind Judo Foundation approximately two years ago expressing interest in the sport of Judo. Through dedication, desire, and unrelenting commitment, she will be representing America this coming September in Beijing. As a visually impaired athlete, she will be only the second female to represent America in Paralympic Judo since the Paralympic Games were initiated in 1988. Also, if you are interested in following the Paralympic Games starting September 6th through the 17th, check out the official website at http://en.paralympic.beijing2008.cn/. 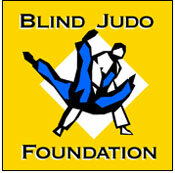 If you are interested in donating to the Blind Judo Foundation, please visit http://www.supportblindjudo.com.